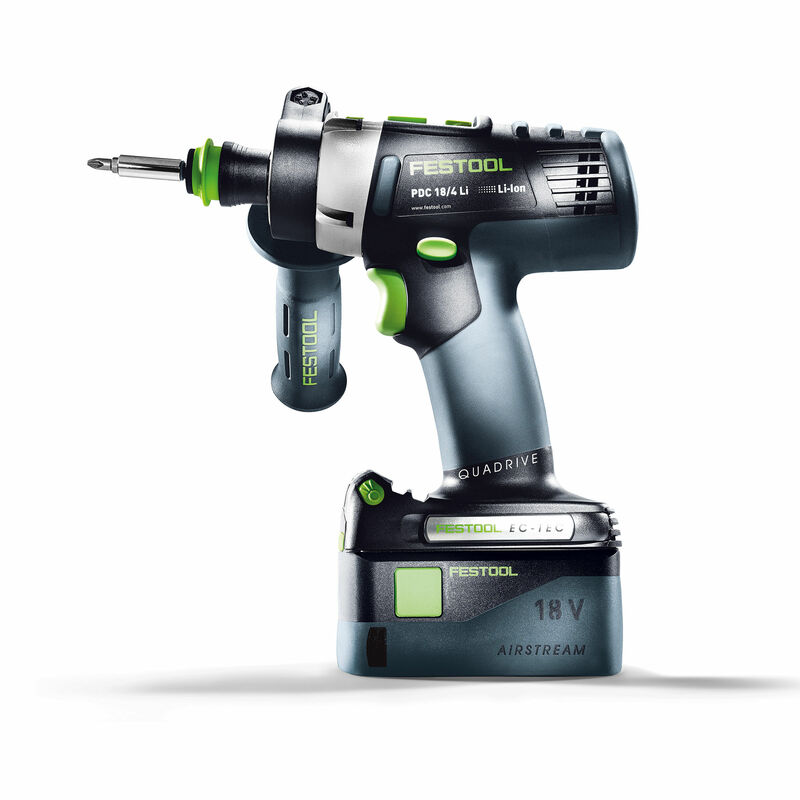 The Festool 574919 cordless percussion drill has a brushless EC-TEC motor for maximum service life and efficiency. 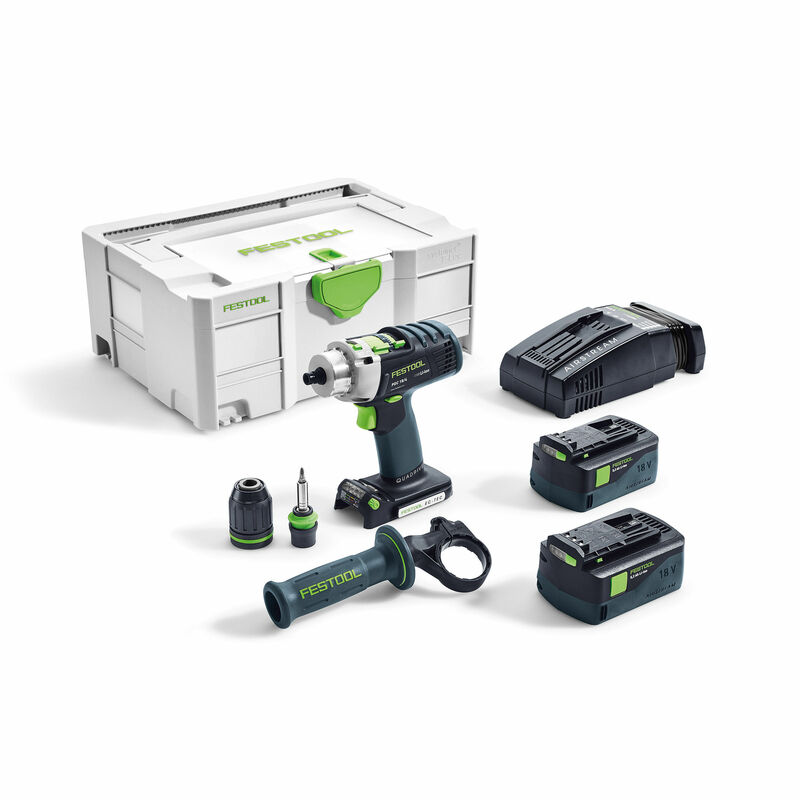 The EC-TEC motor combined with high-quality lithium-ion battery technology calls for up to 100% greater fastening capacity while consuming extremely low amounts of energy. 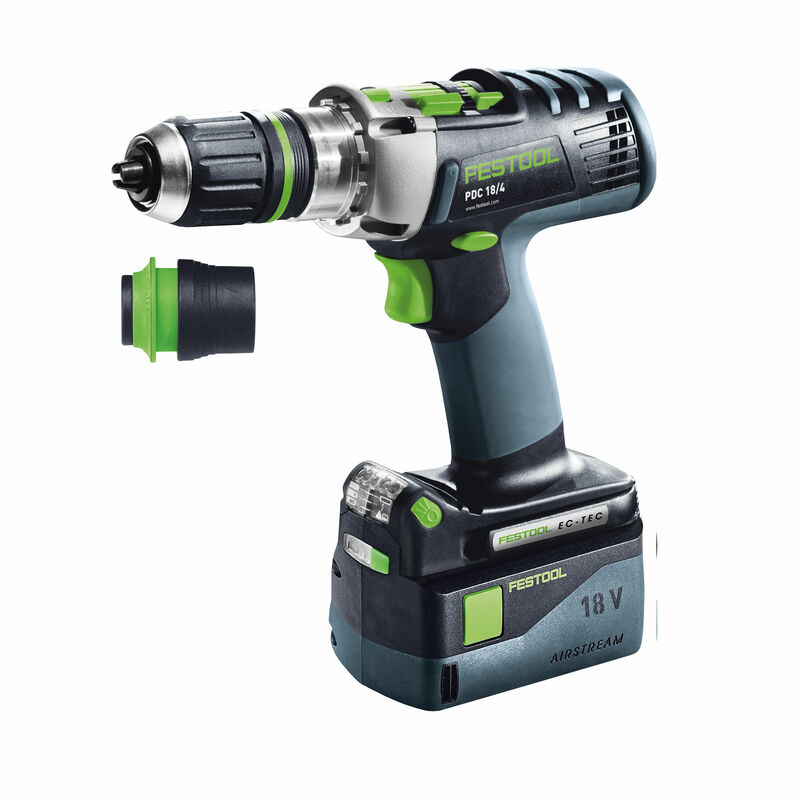 It has a 4-speed gearbox capable of 3800 rpm for rapid, clean drilling results and features individually selectable LED lighting and battery status display for easy fastening, drilling and impact drilling. 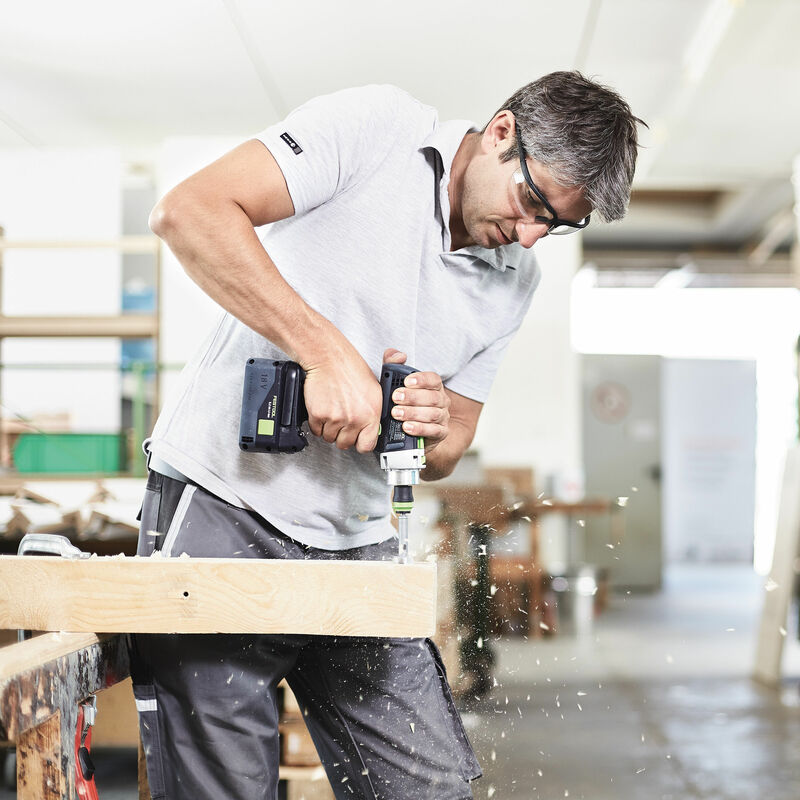 The axial impact feature (PDC) can be deactivated for drilling in brickwork.